More than 100 of Miami’s arts and community leaders attended a reception October 21st at the Patricia and Phillip Frost Art Museum FIU in honor of Dr. Carol Damian’s farewell, celebrating her leadership and contributions as she steps down as director and chief curator at the end of this month, artfixdaily.com reports. In keeping with Dr. Damian’s passion for art from the Americas, the event also served as the launch of the Frost’s new endowment for Latin American and Caribbean art, announced by museum benefactor Tony Ulloa, who established the new endowment with his lead contribution. 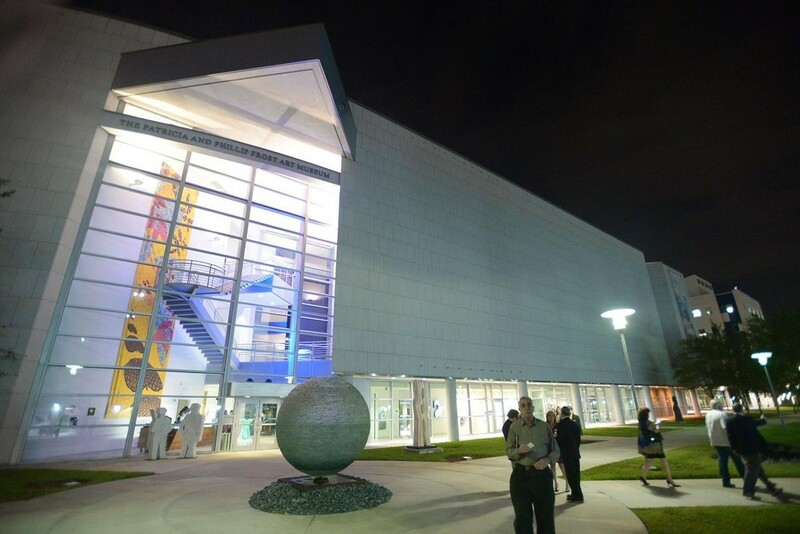 The new Latin American & Caribbean Program (LA&C) at Florida International University’s Frost Art Museum will create the nation’s preeminent university-based resource for Latin American and Caribbean art studies by combining academics, enhanced research and diverse interpretive techniques. Luminaries at the event included Patricia Frost, Rafael Diaz-Balart, Ramon Cernuda, Jose Valdes Fauli, Cookie and Ralph Gazitua, Chris Damian, Jerry Lindzon, Dora Valdes-Fauli and Sergio Cernuda. Mr. Tony Ulloa, founding donor, has established this endowment in support of the Patricia & Phillip Frost Art Museum to further the mission of the museum as a local and global center of knowledge and culture. A new Director for the museum will be announced in November. Dr. Damian will remain as Professor at FIU’s Art + Art History Department, along with her numerous educational, leadership and civic positions as one of the country’s most beloved art leaders and visionaries. She joined the Frost six years ago when the celebrated new museum building opened, and is renowned for launching its mission into action. “Six years ago I had the honor to launch the new Frost Art Museum, an extraordinary building with great potential to become a world-class university museum in one of the most dynamic cities in the world,” said Dr. Damian. Since opening the new Frost Art Museum building in 2008, Dr. Damian has presented over 100 exhibitions including Modern Masters from the Smithsonian American Art Museum; Ursula von Rydingsvard: Sculpture; Things That Cannot Be Seen Any Other Way: The Art of Manuel Mendive; The Missing Peace: Artists Consider the Dalai Lama; Embracing Modernity: Venezuelan Geometric Abstraction and Ivan Navarro: Fluorescent Light Sculptures. She has contributed to over 40 catalogs, acquired 259 works of art for the permanent collection and raised more than $2.5 million. The endowment for the new LA&C Program has been established to fund exhibitions, educational programs, publications and activities relating to artists who create artwork anywhere in the world but have family roots in South America, Central America, Mexico or the Caribbean.